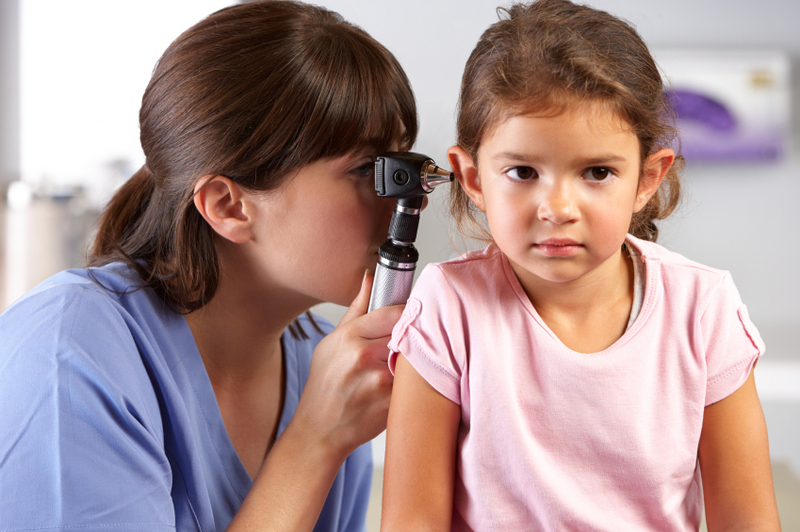 Children who suffer through multiple ear infections are often candidates for ear tube surgery. But a new study finds that the use of one type of ear drops — quinolones — after these surgeries may raise a child’s risk for a perforated eardrum. Children who received post-surgical quinolones were 60 percent more likely to suffer eardrum perforations than those who received another type of ear drops, called neomycin, according to researchers from the University of Florida in Gainesville. The surgery in question is called tympanostomy. In these surgeries, small tubes are inserted into the eardrums to open up the area behind the eardrum and keep air pressure at a level equal to that of the middle ear. This helps prevent fluid buildup in the middle ear. “We have tended to use quinolone ear drops fairly liberally after tympanostomy tube surgery,” study co-author Dr. Patrick Antonelli, chair of otolaryngology, said in a university news release. In the new study, Antonelli’s team tracked data on nearly 100,000 children who underwent ear tube surgery. The researchers then compared post-operative eardrum perforation rates after kids were given either quinolone or neomycin drops. The study couldn’t prove cause-and-effect. However, children who received quinolones were 60 percent more likely to suffer eardrum perforations than those who received neomycin ear drops, the findings showed. And the researchers believe that the rate of perforations might rise higher if children are given quinolones together with steroids. “Our findings suggest the need for more caution with the use of quinolone ear drops,” Antonelli said. The new study builds on prior research suggesting that quinolones may come with risk, he added. Concerns have been raised about potential problems with quinolones, including harmful effects on soft tissues. Last year, a U.S. Food and Drug Administration advisory committee concluded that the benefits of quinolones in certain instances might not outweigh the risks. According to study co-author Almut Winterstein, “Evidence on quinolones’ detrimental effects on soft tissues, animal studies, clinical trials and observational studies overwhelmingly point to the possibility that quinolones could contribute to the development of persistent eardrum perforations.” Winterstein is chair of the university’s department of pharmaceutical outcomes and policy. However, even though this study raises concern about quinolones, neomycin ear drops come with their own hazards, the researchers conceded. Repeat use of neomycin has been linked to hearing loss over time. Two physicians familiar with treating childhood ear infections reviewed the new findings, and agreed the issue is a tough one. “Quinolones have some advantages over the commonly used alternatives, which themselves are associated with toxic effects on the hearing nerve,” said Dr. Michael Grosso. He’s head of pediatrics at Northwell Health’s Huntington Hospital in Huntington, N.Y.
“These results leave ENT [ear, nose and throat] surgeons without an obvious alternative: the risks and benefits of using other antibiotics — or no antibiotic — will need to be considered, possibly on a case-by-case basis,” Grosso said. An otolaryngologist said the study did have some flaws, as well. According to Dr. Darius Kohan, there were many variables influencing the results — the kids in the study were largely covered by Medicaid, details on the dose and duration of therapy was unavailable, and the study only focused on one form of quinolone ear drops. Still, the Florida researchers “do focus on a potential problem we should be acutely aware of, and I do agree with the conclusion that one must judiciously employ topical antibiotic therapy” for ear infections and ear surgery, Kohan said. He’s chief of otolaryngology at Lenox Hill Hospital, in New York City. Grosso had one more caveat for parents.